Hello my name is Tiffany Garry Liddell. I am 31 years old, I have been in child care for 12 years. 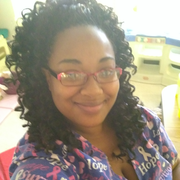 I currently work at St. Dominic's Domini care and I am just looking for a little part time job.I can only work on weekends, or Mon-Friday between the hours of 5:30am through 10:30am. I am CPR qualified and I love being around kids. I am a hard worker, dependable and trustworthy.